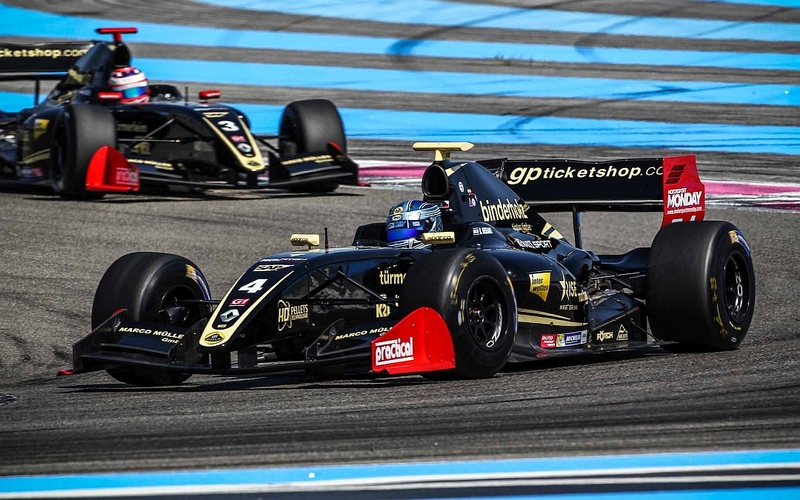 The Lotus team celebrated their best day of the 2016 Formula V8 3.5 season today at the Circuit Paul Ricard track, delivering a double podium finish with Roy Nissany and René Binder. After securing a spot on the front row in the final minutes of the qualifying session, the Israeli driver fought for the win till the last corner, clinching a deserved second position as happened in race two at the Hungaroring. Behind him, Binder drove consistently for the whole distance, moving up to third place on lap 15. As well as for his Austrian team-mate, Nissany is at his second podium finish of the year. “My start was pretty bad, the anti-stall system got in and it has been a tough task to take third place fighting with René. Then I kept my pace as it was getting really really hot. In the last few laps I was fighting with Egor hard and I hope we both enjoyed it. We got a good result overall”.